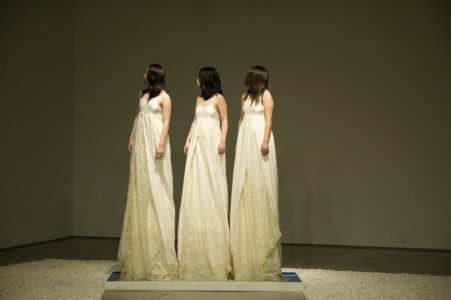 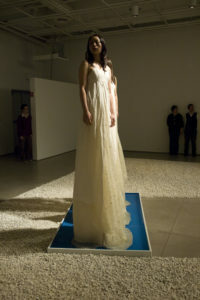 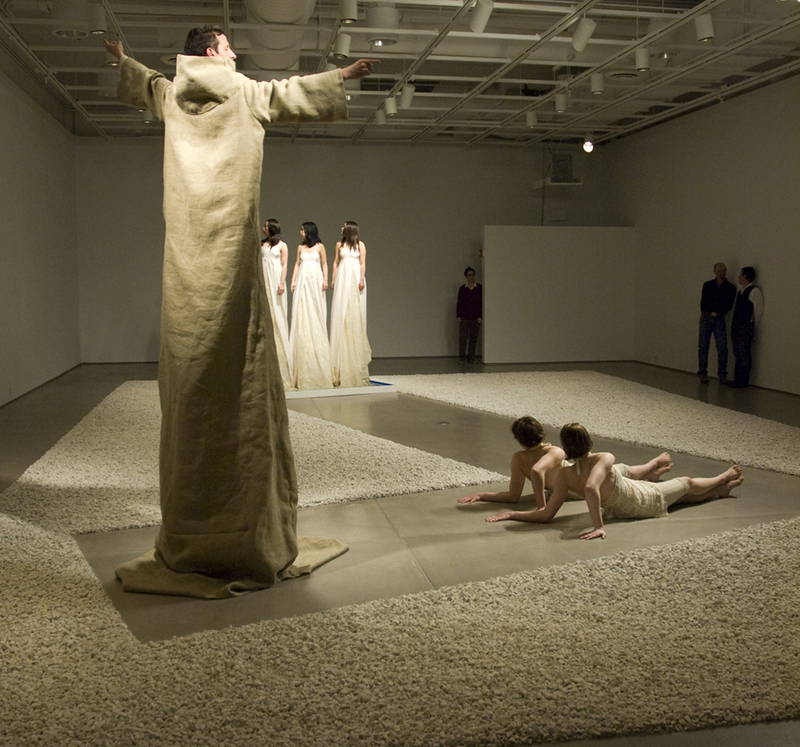 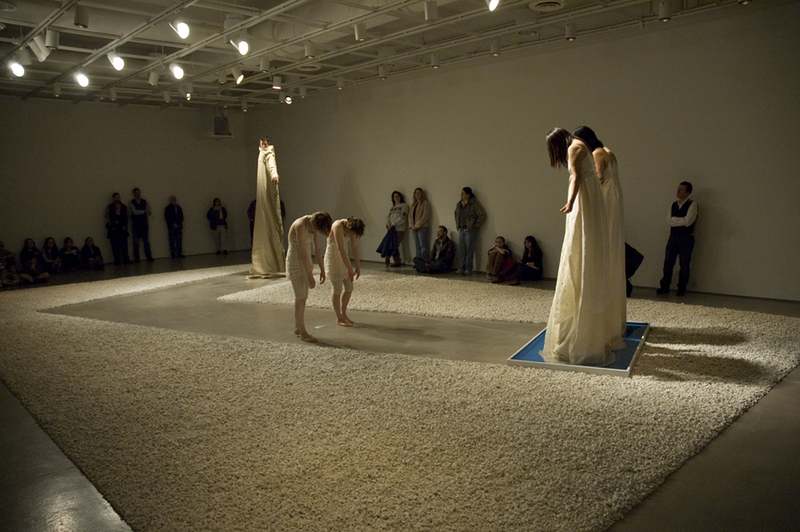 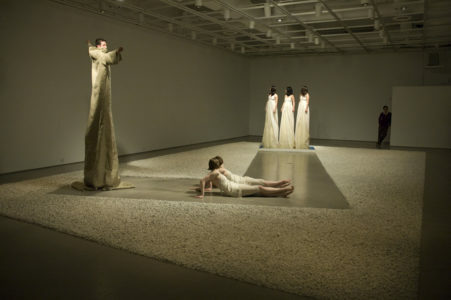 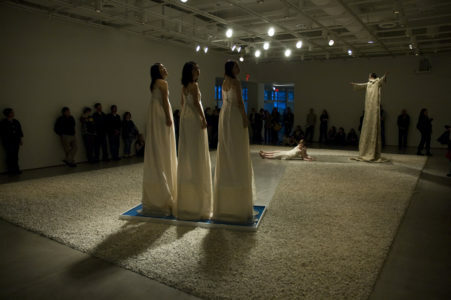 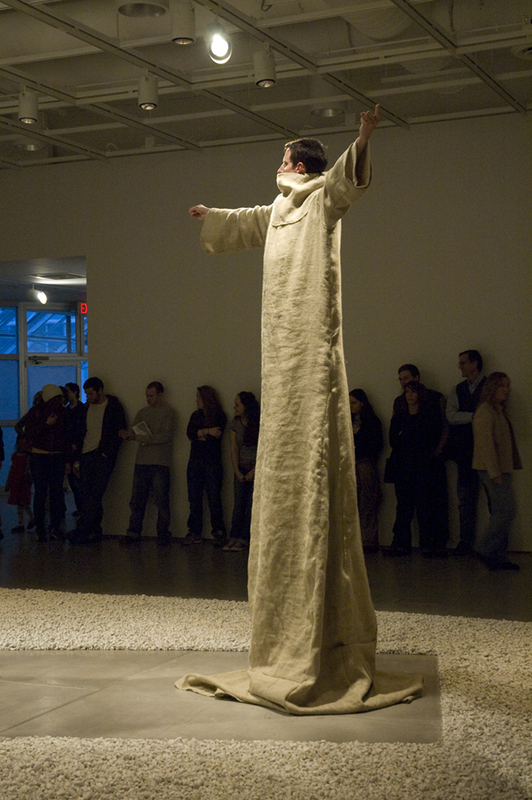 Liminal is a large-scale, sculptural, time-based performance that was exhibited at the Fosdick-Nelson Art Gallery. It includes 9,000 pounds of white rock, and a small blue pool that creates a meditative environment designed by D. Chase Angier with Marketa Fantova. 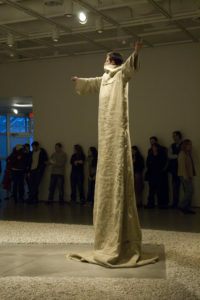 Ms. Fantova designed the nine-foot high costumes. Incorporating highly specific movement, original sound design by John Laprade and haunting visual elements, Liminal explores the tensions and deep desires that live in transitions.